Only a short flight from the UK and with the cost of flights hardly going to break the bank, the chance to take part in an event in Tenerife and a weekend in the sun seemed like an opportunity simply too good to miss. It’s not every day you get the chance to run on ‘the roof of Spain’, either. 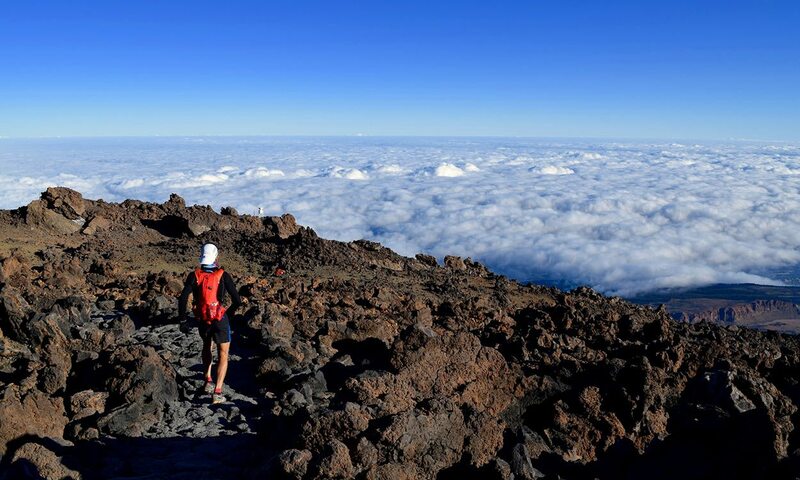 That was exactly the scenario presented to those taking part in the Tenerife Bluetrail events which weave their way through the stunning scenery of the volcanic island situated off the coast of West Africa – and which gets its nickname thanks to being the location of the 3718m high Mount Teide. Competitors had the choice of an ultra distance race covering 97km, a trail event at 66km, a marathon or a 20km ‘media’ or medium distance race, as well as an event suitable for disabled athletes. A trail race, they said. Regardless of the distance, each option would include a considerable amount of vertical ascent. I was to take part in the 20km race which, with over 3000ft of climbing, would be the most I’d ever encountered and turn out to be a rather sizeable challenge for an athlete with my mainly track and road running background. Find out how I got on in the event and get a glimpse into the growing scene of ‘sky racing’ by checking out the video below.